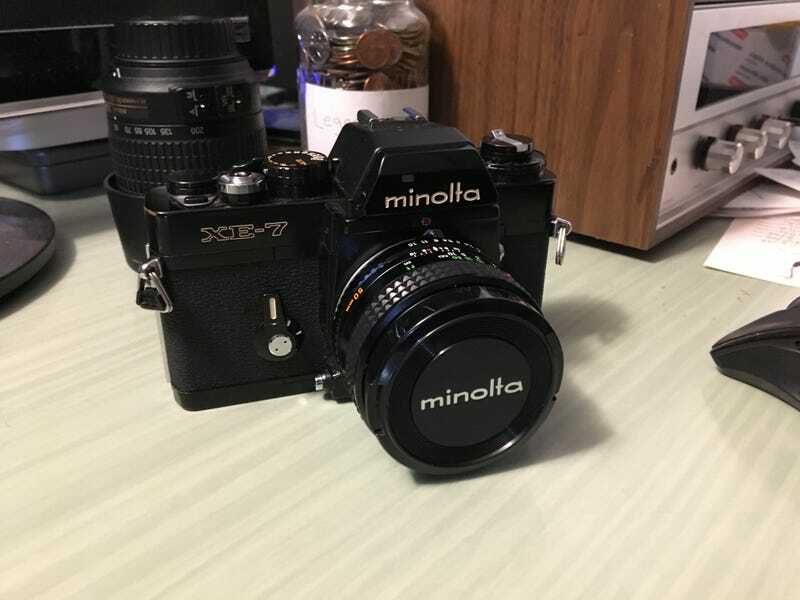 What may be the best Minolta SLR, mine for $50. This thing feels like it’s milled from a solid block of steel. Heavy and feels like real quality. Unfortunately the mirror is staying up unless I move the exposure dial, but other than that it seems to be working perfectly.